Author Mark Twain often is credited with the phrase, “Reports of my death have been greatly exaggerated.” While off on a speaking tour in London, a rumor began circulating that Twain had passed away. When he was found – very much alive – he supposedly gave this snarky response to the press, and another legend was created. Much like Twain, we’ve heard repeatedly that the manual transmission is dead. Only about 10 percent of all vehicles produced in 2019 for the U.S. market will have a manual transmission, and there are manufacturers who no longer offer a “stir-it-yourself” option on any of their U.S. production vehicles. The manual certainly isn’t dead yet, but it does have increased competition from a wide range of automatics, even in European and Asian markets, where manual transmissions historically have been more popular. In the United Kingdom, if you pass your driver’s test in an automatic, you receive a restricted license, and can ONLY drive an automatic! In addition, most European rental cars are manual-shift, and automatics usually are an upcharge, if they have one on the lot at all. The modern automatic uses a series of control modules, sensors and computerized programming to quietly and efficiently shift between gears (up to 10 speeds on some models! ), all without the driver putting down his cellphone or her latte. Solenoids open and close passages within the valve body to route the hydraulic fluid according to computerized programming based on vehicle and engine speeds, load and throttle/brake inputs. The continuously variable transmission (CVT) takes the concept of an automatic to a slightly different level, allowing for a nearly infinite number of forward gears. Most often, this technology is applied via a steel “belt” or chain running between two variable-diameter pulleys. As each pulley increases or decreases in diameter, the effective gear ratio changes. Increased fuel efficiency, smoother operation and minimal power loss are the most-advertised benefits of the CVT over a conventional hydraulic automatic transmission. Other designs, including hydrostatic drive and roller-type CVT transmissions, can be found in automotive and agricultural applications. Like all CVT applications, these designs have very specific fluid requirements. 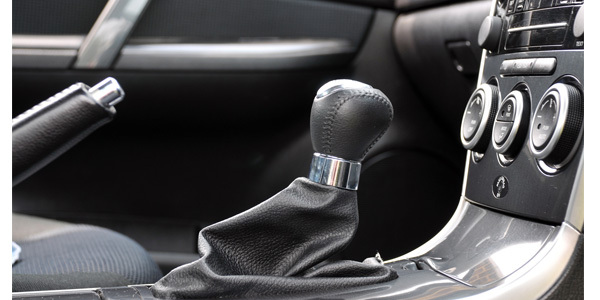 Aside from these “traditional” automatic transmissions, there are other auto-trans technologies competing for the attention of those who previously enjoyed exercising their left leg during shifts. A “semi-automatic” transmission offers drivers the option of “overriding” the automatic’s normal shift programming. The vehicle’s gear selector features an additional “drive” position, usually marked by a “+” and “-“ or a pair of arrows to indicate upshifts or downshifts. When placed into this mode, the driver can make more independent choices of gear selection, suited to acceleration or engine braking. This option is widely referred to as “Tiptronic,” although that specific trademark belongs to Porsche, and is slightly different in design. Transmissions with these features may be identified by names such as “AutoStick,” “TAPShift,” and “SelectShift,” or any number of names with “-tronic” suffixes. Dual-clutch transmissions probably are the most confusing of the “new” automatics. The name implies a manual transmission, and coupled with Tiptronic-like controls, it can be manually shifted, but it still is an automatic, and there’s no clutch pedal. Internally, it’s built like a pair of manual transmissions, with two wet or dry clutches each controlling shaft engagement of the even- or odd-numbered gears. For example, while second gear is selected on one shaft, third gear is selected on the other shaft, but its clutch is disengaged. On the upshift, second disengages, and third gear takes over, with no interruption in power. These shifts all are controlled via hydraulic or electric solenoids. Although the manual transmission (as we know it today) is on the decline in the United States, it’s still alive and well in Europe and Asia. Reports of Mark Twain’s death may have been exaggerated in 1897, but by 1910, he really was gone. Hopefully, the stick shift has more than 13 years to go!